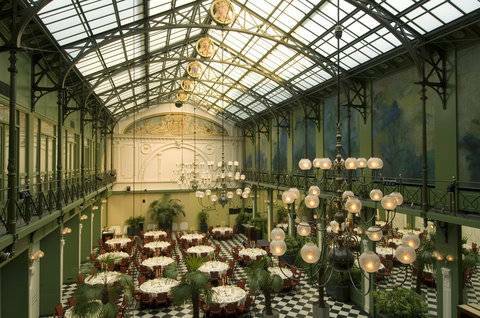 The luxurious NH Grand Hotel Krasnapolsky, dates back to 1866, is situated at Dam Square between the canals in the heart of the historical centre of Amsterdam. 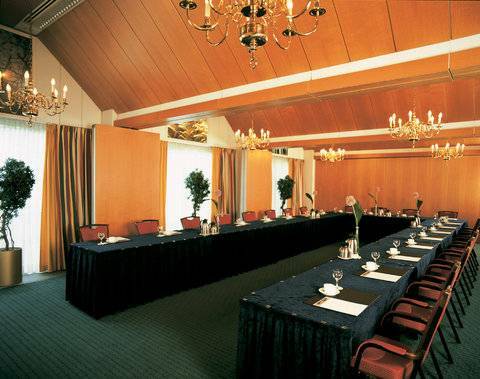 The Anne Frank House, all major shopping streets, many restaurants, canal boat tours and several museums are within a 5 minutes walk of the hotel. The Vincent van Gogh museum, Vondelpark, the Heineken brewery and the Congress centre RAI are within 20 minutes by public transport. 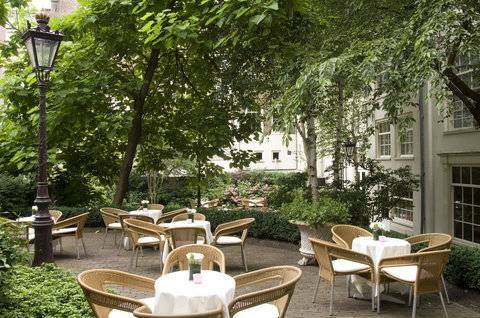 Enjoy breakfast in the famous and historical Winter-Garden. 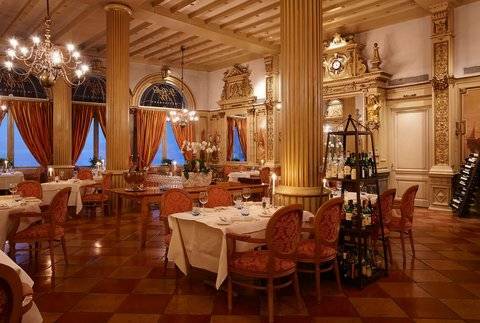 Grand Caf Mathilde offers a birds-eye view at the Royal Palace, while you enjoy your high tea or dine in the baroque-styled Reflet restaurant where you can enjoy french style cuisine belle poque. 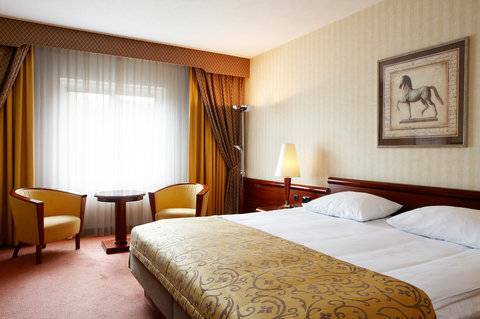 All tram connections, Amsterdam central station and all metro connections are within 5 minutes walking distance of the hotel. There is a shuttle connection (surcharge) between Schiphol airport and the hotel. The hotel offers a parking space for a surcharge. The NH Grand Hotel Krasnapolsky offers a free fitness area, valet parking, a tourist desk for information and tickets and it even has its own private jetty for a canal tour. 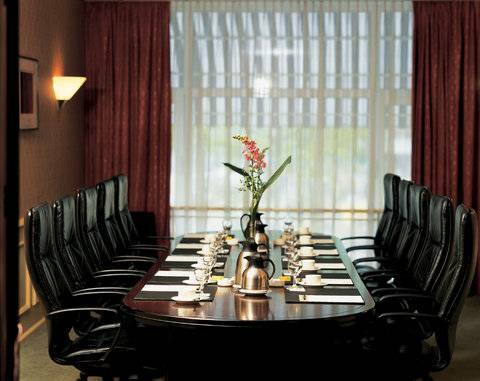 A 5% city tax is to be paid at the hotel. 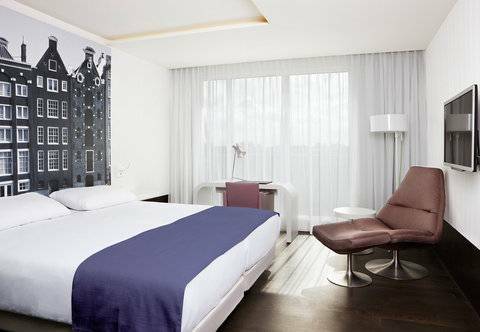 The Anne Frank House, all major shopping streets, many restaurants, canal boat tours and several museums are within a 5 minutes walk of the hotel. The Vincent van Gogh museum, Vondelpark, the Heineken brewery and the Congress centre RAI are within 20 minutes by public transport. 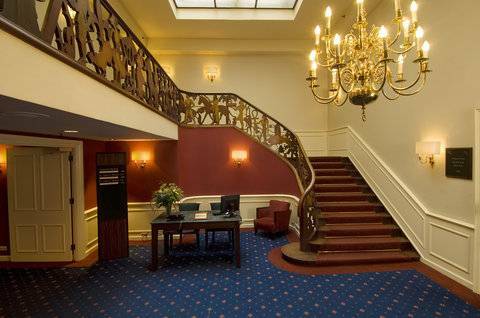 All tram connections, Amsterdam central station and all metro connections are within 10 minutes walking distance of the hotel. Standard Room - Room includes adaptor, air-conditioning, alarm clock radio, bathrobe, choice of pillows, coffee and tea machines, direct-dial telephone with voicemail, hairdryer, high-speed internet access, iron and ironing board, WiFi, bath tub, mini bar, rooms adapted for the disabled, safety deposit box, satelite TV, radio, smoke detector, toiletries kit, trouser press, voltage 220V and work desk.